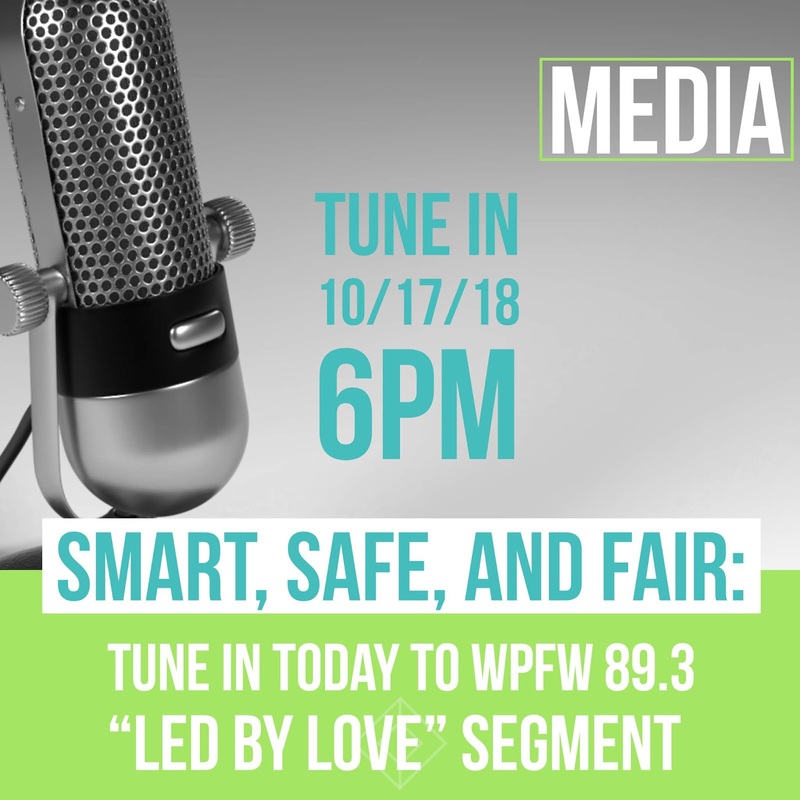 TODAY, October 17, at 6 PM, tune in to WPFW's "Led By Love" segment to hear our Executive Director Marc Schindler, along with National Center for Victims of Crime's Executive Director Mai Fernandez, discussing our new report “Smart, Safe, and Fair: Strategies to Prevent Youth Violence, Heal Victims of Crime, and Reduce Racial Inequality." They will address how the justice system treats youth charged with violent offenses in ways which are unnecessarily expensive, ineffective and unjust. The Abell Foundation has released a new report, “Fact Check: A Survey of Available Data on Juvenile Crime in Baltimore City,” collecting and analyzing available data on trends in juvenile crime rates, arrests, and outcomes in Baltimore City. The report found that overall juvenile arrests are down in Baltimore, but juvenile arrests for violent crimes are up. 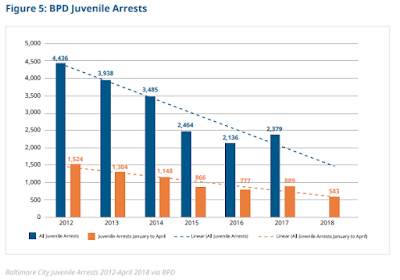 However, for the first four months of 2018, total juvenile arrests were down 34 percent in comparison to arrest rates of the first four months of 2017. In addition to arrest rates, the report also examines court cases for Baltimore’s youth. They found that the number of youth referred to adult court—indicating involvement in a violent crime—has increased slightly from 2013 (156 cases) to 2017 (216 cases). Even with that increase, less than 10 percent of juvenile arrests in 2017 were for crimes eligible for referral to adult court. While these numbers certainly need to be addressed, this directly contradicts the political narrative of a booming juvenile crime wave in Baltimore. And there has been an increase in the return of juveniles originally charged in adult court back to juvenile court (19 percent in 2013 to 67 percent in 2017). The report concludes that to better understand the level of juvenile violence in Baltimore, they need more access to data about juvenile records—such as recidivism data for youth charged with violent crimes. 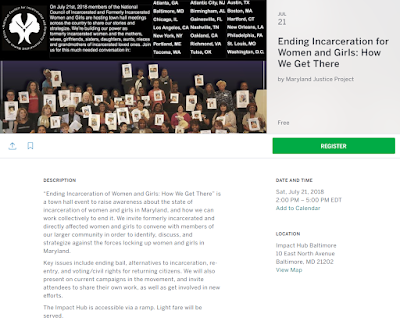 Upcoming event - this Saturday, July 21, there will be a “Ending Incarceration of Women and Girls: How We Get There” town hall event in Baltimore. This event is to raise awareness about the current state of incarceration of women and girls in Maryland, and will addressing key issues such as ending women and girls incarceration, ending bail, alternatives to incarceration, re-entry, and voting/civil rights for returning citizens. This event is free and will be held at the Impact Hub Baltimore, 10 East North Avenue from 2:00 PM to 5:00 PM EDT. 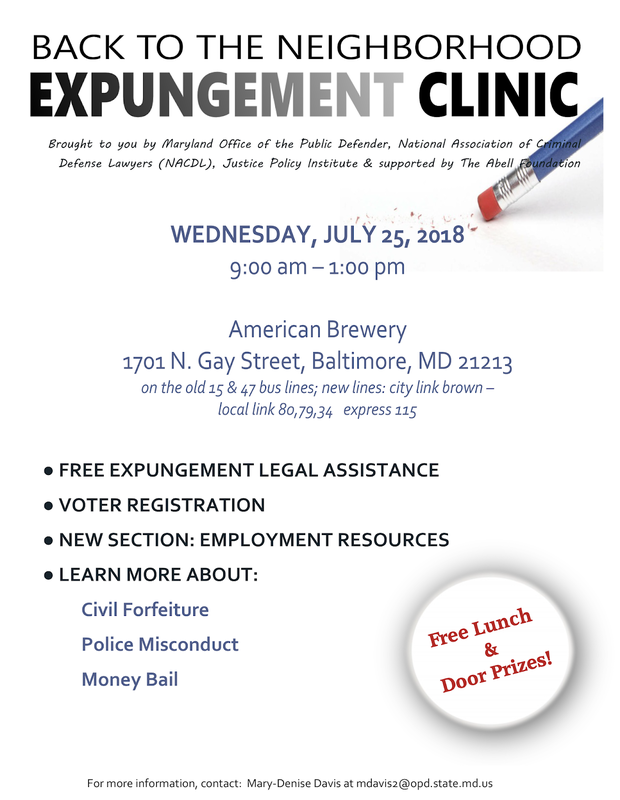 For more information and to pre-register for the event click here, you can also email lanefrazee@marylandjusticeproject.org with any questions you may have. This event is sponsored by Maryland Justice Project, Out for Justice, and the National Council for Incarcerated and Formerly Incarcerated Women and Girls. 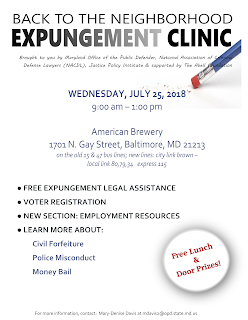 A big thank you to our partners the Maryland Office of the Public Defender, National Association of Criminal Defense Lawyers and the Abell Foundation. Please share with anyone you know who may be interested. See you next week! "The United States locks up more people than any country in the world. That starts young: Roughly a million kids a year get caught up in the criminal justice system. In Caught, a new podcast from WNYC, we'll listen as some of those young people tell their stories over nine episodes. They'll help us understand how we got here--and how we might help, rather than just punish troubled youth. Welcome to Caught: The Lives of Juvenile Justice. Caught: The Lives of Juvenile Justice is supported, in part, by the Anne Levy Fund, Margaret Neubart Foundation, the John and Gwen Smart Family Foundation, and the Economic Hardship Reporting Project." Listen now. The Children and Family Justice Center has published the third installment of their year-long series, Community Safety & the Future of Illinois’ Youth Prisons. This issue, “The Costliest Choice: Economic Impact ofYouth Incarceration,” discusses why Illinois should depart from youth incarceration and instead invest in strengthening Illinois youth, families, and communities – restoring much needed services damaged by the state budget crisis. “Strong communities are key to success.” Illinois needs to increase funding for youth justice reinvestment programs and expand the capacity of local nonprofits that provide state social services to youth and families. Vincent Schiraldi started his career in criminal justice reform in 1981, although he always knew that he wanted to dedicate his life to helping people, or as he humbly states to be “in the human services field.” Schiraldi started working at the National Center on Institutions and Alternatives, and then went on to create two nonprofits, the Center on Juvenile and Criminal Justice in San Francisco and our very own Justice Policy Institute. Today, at the Justice Lab at Columbia University he is a leading voice in criminal justice reform, specifically in regards to parole and probation. Formerly incarcerated people are now finding a new voice through poetry, thanks to the Free Minds Book Club and Writing Workshop. This workshop helps young men find a way to give expression to their lives during and after incarceration. Since 2002, the program has worked with teenagers charged and imprisoned as adults in the D.C. Jail and the federal prison system.